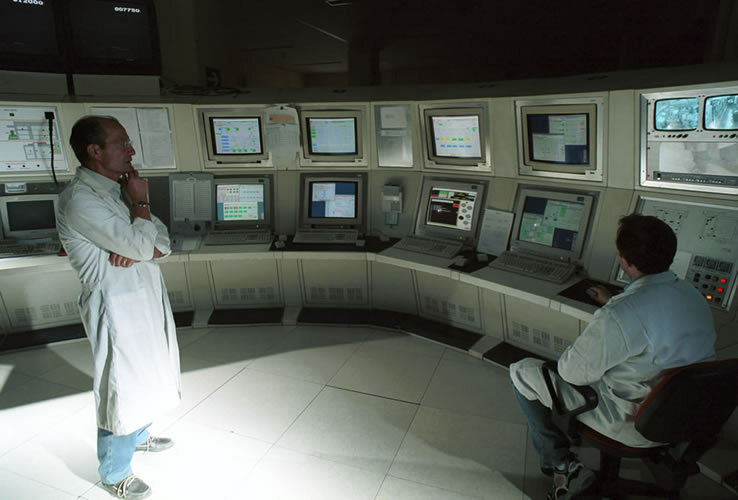 The main task of the Section for the Management of Large Experimental Facilities is to ensure that the Frascati Tokamak Upgrade (FTU) machine operates reliably including control and acquisition of engineering & physical data during the nuclear fusion experiment. 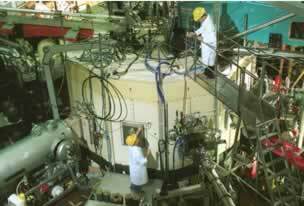 Among its duties, particularly relevant are the optimization of techniques to reduce the plasma contamination using different elements instead of the normal working gasses (Deuterium and/or Hydrogen). In this line of research, but with more ambitious targets, is studying of new first wall materials, like liquid metals, potentially interesting for future fusion reactors. 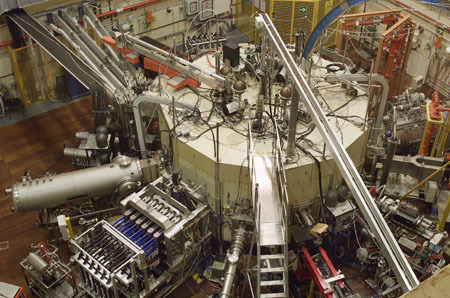 FTU is a medium-size tokamak machine with a high toroidal magnetic field (80,000 Gauss). For such a high field, a continuous current of 37,800 Ampere per 1.5 seconds has to pass through the toroidal windings. As all the FTU windings are copper coils, their resistivity has to be lowered in order to considerably decrease dissipation through the Joule effect and hence avoid damage to the coils. The only way to do this is to constantly keep the coils at the operating temperature of liquid nitrogen, that is, about -196°C. Pulse Repetition Rate: 1 pulse every 20 min. FTU: Main control boardAlthough FTU is a medium-size tokamak, it is extremely complex and needs a large number of plants (or sub-plants) to be able to work. 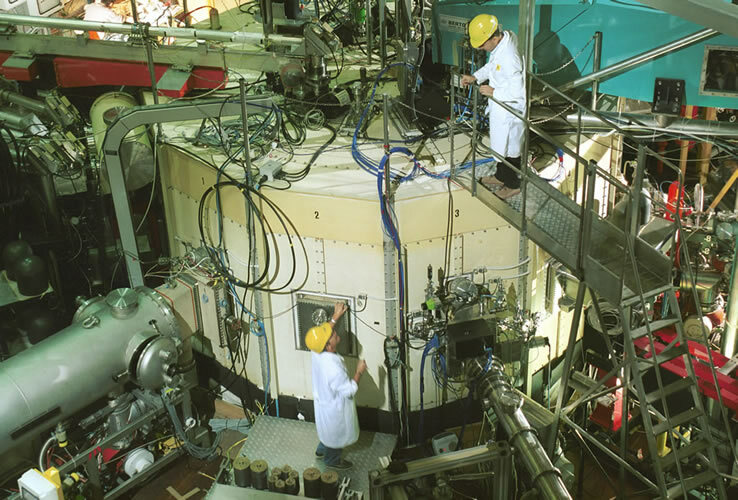 The sub-plants, which can be quite large, are installed both in the building housing the machine itself (meaning the vacuum chamber and toroidal and poloidal windings) and in various other buildings nearby. To reduce the plasma contamination, together with the classical techniques of vacuum vessel cleaning like "baking" and "glow discharge", other particular conditioning techniques by thin film deposition of different materials have been developped and implemented inside FTU, like titanium (titanization), boron (boronization) end lately litium (litization). 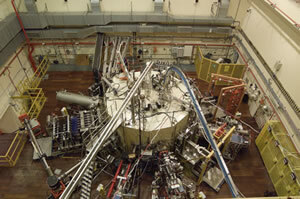 In this last case, a "liquid litium limiter" in contact with plasma has been used to produce and deposit litium atoms on the inner walls of FTU vacuum chamber.